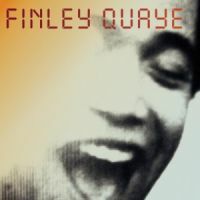 Whatever Happened To Finley Quaye? I can’t even begin to answer that question, as 1997’s Maverick A Strike is the only album I have owned; though a quick perusal of Amazon shows Quaye has released a number of albums over the past ten years, including a collaboration with William Orbit. Innarestin. Somewhat surprisingly, this album has aged pretty well, not something that can be said for a lot of popular music from the same year. I remember thinking it’s blend of reggae based soul and electronica sounded extremely fresh the first time I heard it pouring out of a PA before a show at a club in Boulder March of 1998. Kaya was my favorite Bob Marley album at the time, and Quaye’s re-working of the lyrics for “Sun Is Shining” on his “Sunday Shining” were immediate, familiar and exactly what I wanted to hear at the time. So what is Quaye’s story these days — did he fade into obscurity after Maverick A Strike, or just way off my radar? How have his other albums turned out? Below are the first two tracks off the debut — if you’re into these, check out the full album. That is so bizarre, I was just asking a friend the exact same question this past Sunday night! He’s a good old Edinburgh boy, same as me. Well he released a follow up album a couple of years after Maverick A Strike, but it was a pretty uninspiring affair and after that I think people just stopped caring. By that I mean, journalists moved on and stopped writing about him and so presumably the general public just lost interest. I must confess, much as I liked that one album I find myself not enormously keen to explore what he’s up to now, unless someone gives me a very hearty recommendation. Finley’s second album, Vanguard, is actually quite enjoyable I think… Far different than “Maverick”, but it is one that grows on you… Some tracks are more reminiscent of Maverick’s soul-reggae blend (The Emperor, Burning, Everybody Knows) and “Feeling Blue” is a great upbeat one. Others are more alt-rocky (Calendar, When I Burn off into the Distance (with some great gtr efx))… Some feature some pretty interesting free-assoc. verse (Broadcast, Chad Valley, British Air Rage). All in all, I think over looked unjustly. More “out there” than the debut, but consistently enjoyable. As for the third album, the gems are few and far between as evidenced by the fact that two of the best tracks are a remake of a Beth Orton song with her sampled vox, and a redux of one of Maverick’s more entertaining tracks. Quaye’s track, “Even After All” from “Maverick…” may very well be one of the finest original, “love song/ballads” of the past decade – hands down! A truly beautiful and wonderful song that still holds up very well today….. I loved Maverick when it hit. I was walking down Venice Beach and heard it pouring out from one of the vendor tents. Took it home and turned on a bunch of friends. I was psyched when Vanguard hit, but it just didn’t do it for me. Then, in a flash, he’s gone. I guess labels stopped backing/promoting and left him to his own devices (read: bong). I know that he sang on a great track called “Dice” that appeared on the the OC in the first season. Highly recommended. My inglish is poor but i will try…. Finley recently recorded a duet with spanish/french music Cathy claret. The wonderfull song is called “we are dreamers” and has just go out on spain now.